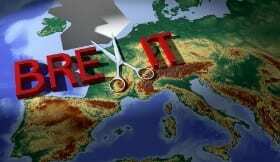 I’ve seen quite a few message board questions about the impact Brexit will have on UK (and European) citizens and went to various government agencies to get some answers. At the moment, even if the UK leaves the EU without a deal, a visa will not be necessary to travel to the EU. However, the Commission has stated that a visa exemption will be required from 2021, where a charge of around 7 Euros will be payable by UK citizens to allow them freedom of movement across the EU. For anyone who is currently enjoying free data roaming within the EU, this will stop if the UK leaves without a deal. I’d only just got used to the wonders of being contactable without worrying about huge bills. I was living my best life, people. A few of the larger mobile companies have stated they will continue to offer the service after Brexit, so check with your provider before you travel. They might provide the service, but you might have to cover the cost in your regular contract. With a Brexit deal, your full UK licence will continue to cover driving in the EU. If there’s a no-deal, this is likely to change. Regardless of the outcome of the exit, from April 2019, UK drivers are likely to need an International Driving Permit – and possibly more than one – depending on the areas of your travel. Forms are available from the Post Office and must be in place prior to travel as you cannot apply for these once in the EU. If the UK ever leaves the EU, there will be no impact on your future travel plans. Everything will remain the same. An agreement is in place to ensure that the current situation between international carriers will not change. Apparently. From April 2019, the UK government advises that you have AT LEAST 6 months remaining on your passport when travelling to EU nations. Check your passport before making plans and, if the timing is tight, order a new one. You don’t want to get stuck in the EU if you voted Leave, do you? On the flip side, if you voted Remain, getting stuck in Madrid might not seem like such a bad thing. I’m joking – check your documents and make sure you have plenty of time until your passport expiration date. If you hold one of these bad boys and the UK leaves the EU without a deal, it will cease to be valid. If we leave with a deal, it’s not known what the situation will be, so always take out travel insurance before you go. If you already hold an annual policy, check your terms and conditions to make sure you’re still covered, regardless of the situation. Do you have any other concerns about travelling after Brexit?